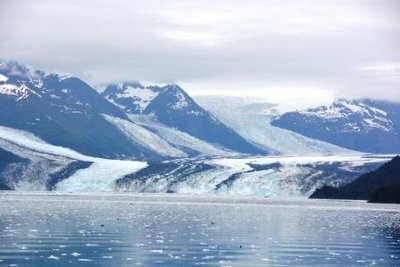 I have finally finished the photo album of the Alaska Trip please click Alaska Photo Album to view the pic's. 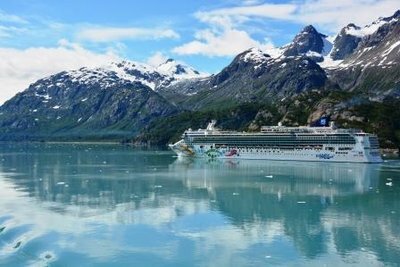 If Alaska in on your list, cruises and cruisetours for 2014 are now ready to book! Our final day at sea was leisurely. 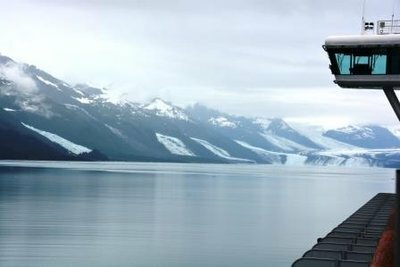 It is about 500 NM from Glacier Bay to College Fjord so we were not scheduled to arrive until 5:30pm. 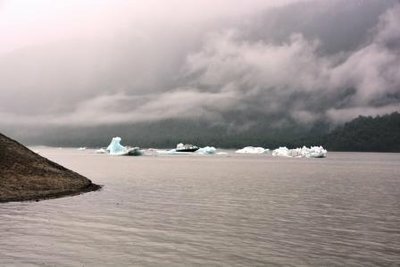 The way was foggy, misty, drizzly - a typical southern Alaska day in the summer. 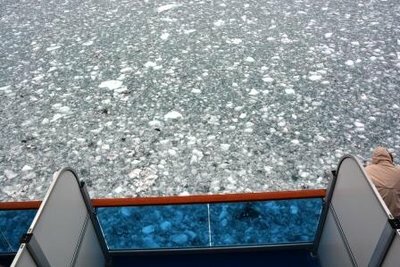 Fortunately, but the time we started pulling into College Fjord, the weather broke a little and offered some good viewing of a number of glaciers as well as a harbor seal and several sea otters resting on the ice chunks. After a leisurely buffet dinner, we packed and put our bags outside. We took advantage of the EZ air bag check and boarding pass system ($20) where the cruise line issues the airline boarding passes and tags the bags all the way to our final destination. We put them out last night, and won't see them again until we land in Charleston Sunday morning (hopefully). Several other ports do this and my friends in the industry love it. It eliminates mule hauling the bags around the airport. Only several of the major airlines offer the service. 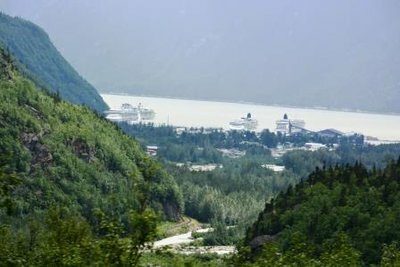 We debarked the ship this morning at 7:00pm and arrived at the Anchorage airport about 9:15am, transiting the one lane rail/car tunnel in Whittier at the 8:00am traffic release from Whittier towards Anchorage. It's a beautiful drive on the Turnagain Arm towards the airport. I will post when I have my full photo album up. Next trip - South Africa in early September! 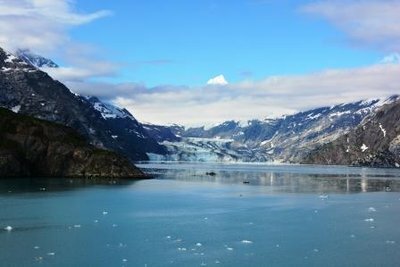 The highlight of any Alaska Cruise is the visit to Glacier Bay. 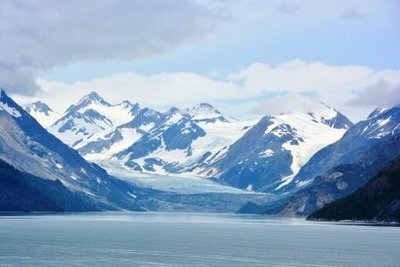 I usually push all my clients to pick a cruise which includes Glacier Bay, because you haven't seen the full Alaska unless you have seen this remarkable National Park - highlighted today, because the weather was perfect and it was Independence Day. You couldn't ask for anything better. Princess boards a Park Ranger at about 0745 to narrate the trip. 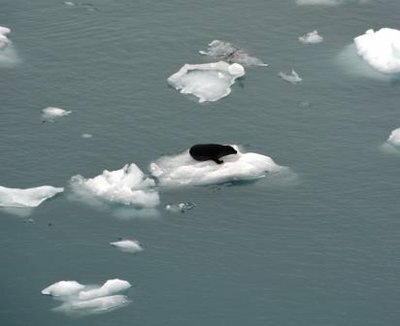 Our's was in her third season - a glacial geologist from Wisconsin. She was obviously passionate about her "job" given the emotion and feeling that she placed in her discussion. We debarked her at 1500 this afternoon, and headed to sea for the 500 mile trip to College Fjord. 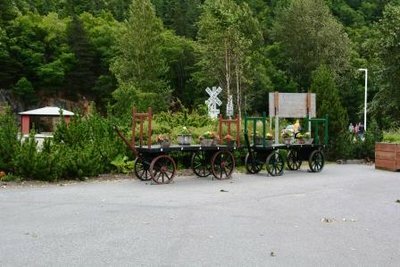 We arrived in Skagway early this morning. This is one of my favorite spots in North America - 800 folks in the winter and 1500 folks during the cruise season. It sort of defines Alaska mentality in that most folks are an individual and like to be alone in the woods. 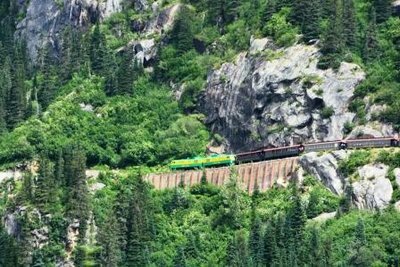 Our highlight for the day is the White Pass and Yukon Railroad which I have ridden twice before. 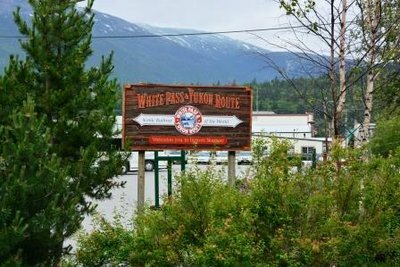 Before the road was constructed, the railroad was one of the main supply line to the capital of the Yukon Territory, but now it serve passengers only and only during the cruise season of mid May to mid September. A wonderful little town! We arrived in Juneau at about 8:00am to mist clouds and rain. 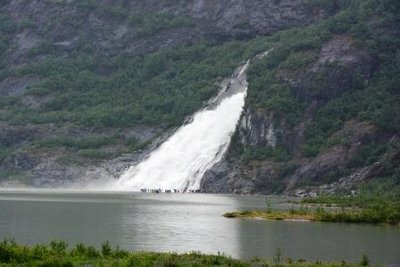 Our plan for the day was to head to Mendenhall Glacier after a brief tour through town. 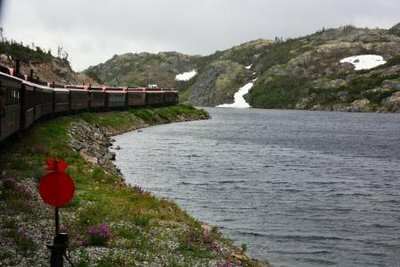 I booked this trip with Shoretrips - a great alternative to the ship's excursions. The groups are smaller and the tours have been vetted heavily by the company - a family run business. They have safeguards in place and a guarantee so that you don't have to be concerned about not making it back to the ship for the underway. We started with a tour through town. Our guide was a ex-patriot Mojave Desert dweller who moved up here about 5 years ago. She loves it. The highlight of the town tour was the Governor's mansion - a wonderful house with a great view, and within walking distance of the state office buildings. 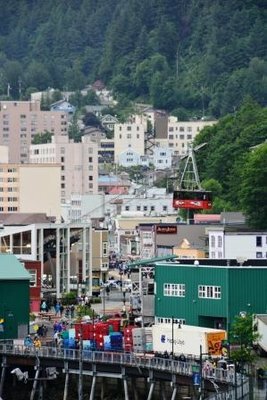 Of interest is that Sarah Palin rarely came to Juneau preferring to govern from afar. I think many of the locals were upset with this. 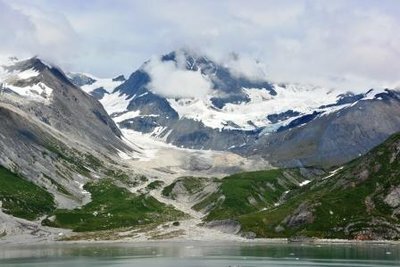 There have been five referendums to try to get the capital changed to Anchorage or Fairbanks, but it was turned down soundly be voters. 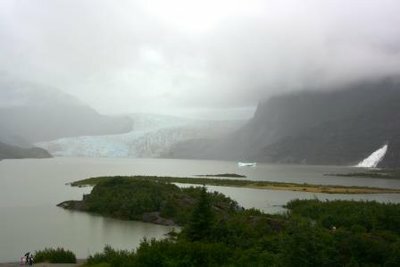 I was then on to Mendenhall - one of the many glaciers that is receding. 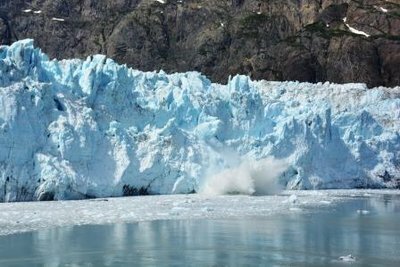 The Forest Ranger showed some pictures of the glacier in 1957 compared to now, and the contrast was rather striking. Who knows what the future will bring. 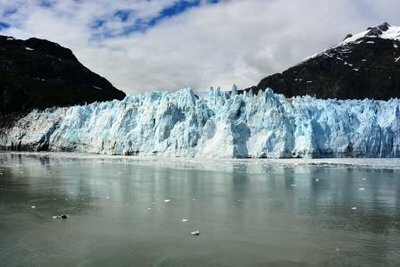 According to our guide, there is still one local glacier that is advancing rather than receding. After the tour we opted for some local fish at the Twisted Fish restaurant and then some shopping before going back to the ship.